Frisco no. 919 followed by no. 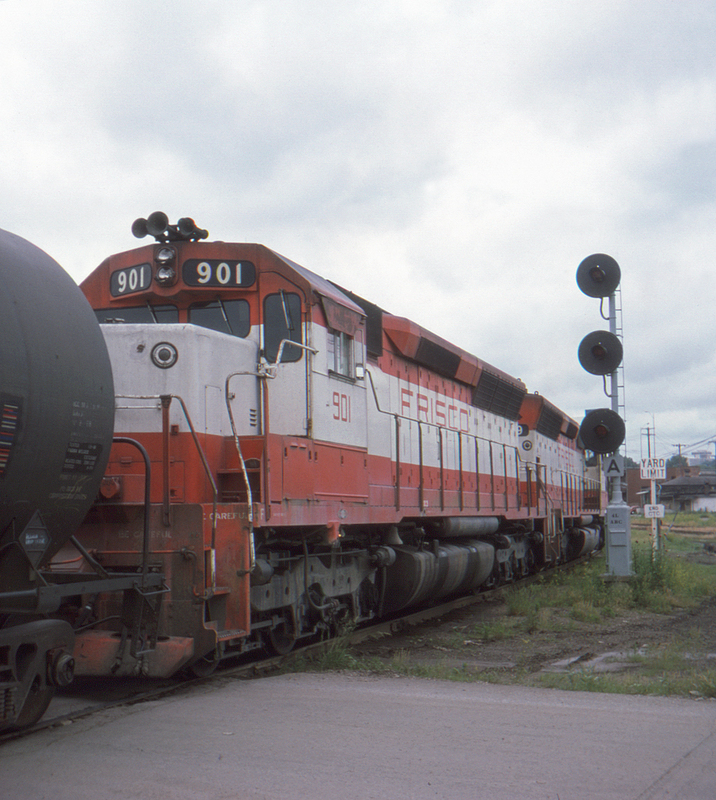 901 prepare to leave yard limits at Southwest Boulevard, Kansas City.